BAT - BLOG : BATMAN TOYS and COLLECTIBLES: TOKYO TOY GUY 2 Vintage Japanese #BATMAN TOYS Movie Poster! TOKYO TOY GUY 2 Vintage Japanese #BATMAN TOYS Movie Poster! Hello to all vintage Batman toy fans! 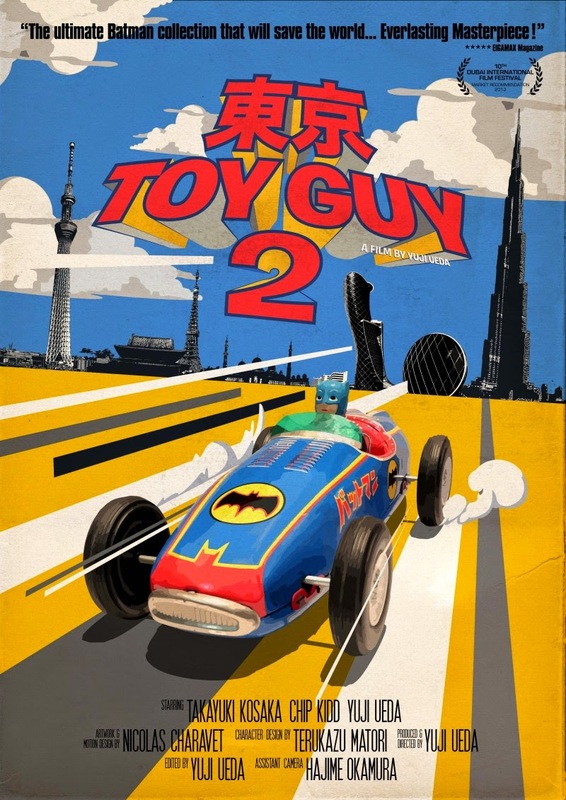 Check out this new documentary movie poster for the upcoming "Tokyo Toy Guy 2"! This new film will contain more than 50 unexposed ultra-rare Japanese Batman toys, an exclusive interview with Chip Kidd in Dubai talking about his "100 Batman: Black & White Comic Book Covers" Project and there might even be an exclusive phone interview with the Manga Comic Legend, Jiro Kuwata! The new movie will premier this year at Middle East Comic Con 2015, Paris Comic Con 2015 and hopefully other Comic Cons in the United States. So, stay tuned to the BAT-BLOG for more upcoming info!